On early Jan 2011, YTL attempt RM8.50 high a few time BUT unable break up. Will it future retrace down or rebound? 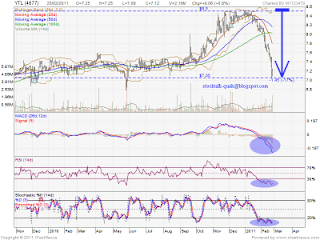 From RSI & MACD indicator, YTL extreamly oversold stage. A technical rebound should be form soon.